Katherine here, writing from the top of Burj Khalifa. When you’re trying to evade your enemies, sometimes it’s best to seek higher ground, and this ground is pretty darn high. Earlier this week, Ahna and I were discussing our favorite ways to read. Personally, I’ve never been a fan of eBooks – I carry enough devices on me without adding a Kindle or Nook to the mix — which is why I was surprised to hear that Ahna likes them so much. Not only is Ahna a registered member of Mensa, but she also has impeccable taste in climbing equipment. In short, she’s one of the few people in this world I genuinely trust. So when she told me that eBooks were just as good as, if not better than, print books, I knew I had to take the statement seriously. Luckily, I knew just the person to turn to for more intel: Andy Donaldson, one of the best textual modification specialists in the business. 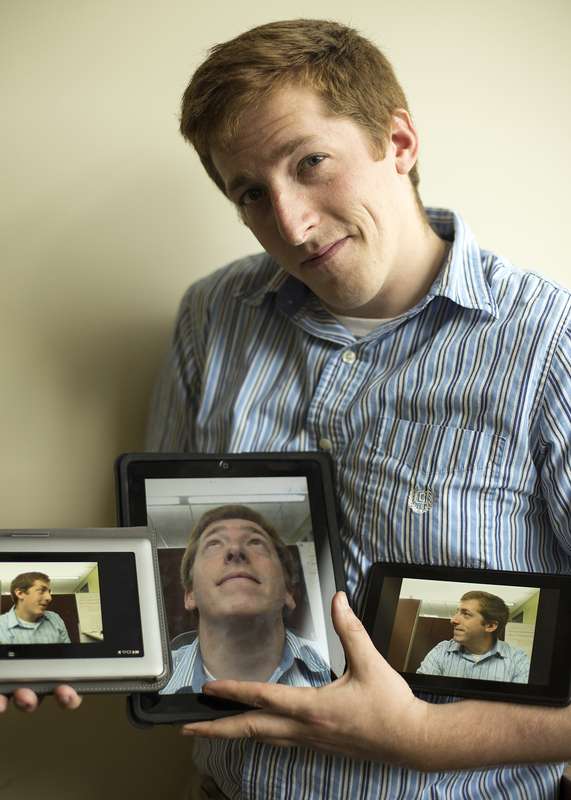 He’s the person responsible for converting our print books into eBooks. He also happened to owe me a favor after that mission in Pyongyang. I asked Andy to explain the process for creating eBooks, so that I could better understand the differences between eBooks and print books. For Eerdmans Publishing, the production of eBooks is a secondary step in the production process of the physical book. Once the files for the physical book are formatted and styled so they will look good on the printed page, they are duplicated and sent to the eBook department. If the book is an EBYR picture book, it is exported into a PDF format. The cover image is placed into the file, and the eBook is ready to be sent to online book retailers. However, if the book is a chapter book or novel, the files are modified slightly to prepare for output into an eBook format. Then the files are exported to a format called “.epub.” This is a basic format for most electronic reading devices. In this format, the book is officially an eBook, but there are still some minor changes that need to be made for aesthetics and functionality. Special tools are used to unzip the epub file, which provides a series of xhtml files. Depending on the book, there are several fixes that need to be made within these files, and then they are re-zipped back into the epub format. The file is run through a validator to ensure there are no errors, and then it is sent out to the different online retailers. All this to say, the same files used to print the physical book are also displayed on the screen of your electronic reading device. So there really isn’t much of a visual difference between a print book and its eBook edition. So turns out Ahna was right; I’ll have to give eBooks more of a chance. But right now I have more pressing matters on my mind, like the fact that the enemy has me completely surrounded (the helicopter feels like overkill, but that’s just me). It’s been a while since I’ve BASE jumped, but they say it’s like riding a bike . . .